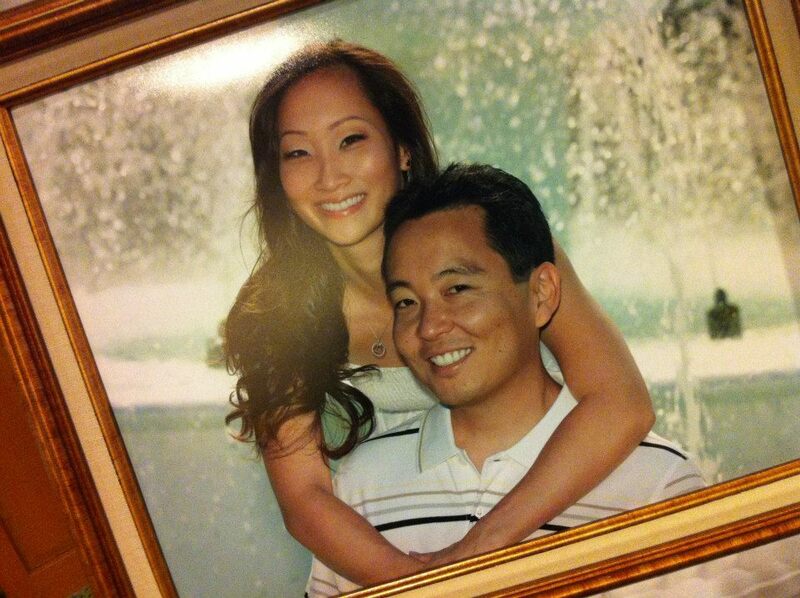 Sending out a special Congrats to Andrea & Brian who will be tying the knot TODAY at the Hawaii Prince Hotel! Everyone send them good wishes:)! On our way out to meet the bride right now… So exciting!! Best Day Ever Hawaii is always looking for new ways to save our brides money! Using social media like this is especially great for destinations weddings. It’s affordable, creative and a great time saver. It’s definitely one of the easiest ways to connect with people! And so very cute, your guests will love it! Plus you’ll have a ton of fun making it! You can keep your guests and family updates as your big day approaches without spending a ton of money printing and mailing postage. Do you have a really cool Save The Date idea? Do share! Planning a Hawaii Destination Wedding can be a very difficult task, especially if the bride and groom are from Hong Kong and Japan and have only a few weeks to pull the whole thing together. This was exactly what happened with Jeff & Yui. I first met Jeff barely a month ago when he called me to inquire about wedding packages and prices. He told me he was in Hong Kong and was trying to plan a very simple ocean-front wedding for his bride, Yui (who was in Japan). After listening to what Jeff was envisioning I quickly got to work pricing out different vendors to create Jeff & Yui’s Dream Hawaii Wedding. What initially seemed like a simple beach wedding quickly turned into quite a production! However, I was determined to make sure Jeff had nothing less than the best most reputable vendors who would be sure to create a day he and Yui would never forget. I also wanted to make sure all the details fit together perfectly and under budget. It was quite a task, but we know a wedding is a Big Deal and it is always our priority to ensure that the bride and groom do indeed have their “Best Day Ever”! After what felt like hundreds of e-mails and phone calls, we finally had a photographer, videographer, flowers, musician, chapel, transportation and a hotel… Jeff had finally signed our contract and we could begin really pulling it all together. Timelines were put into place and vendor contracts were drawn up. We assisted Jeff with organizing payment oversees and making sure all the details matched up. And then before we knew it the big day had arrived… September 24, 2012 – Jeff & Yui’s Wedding Day! We could not have done it without several wonderful vendors – so before I go on to share photos.. We just wanted to say THANK YOU! to everyone who helped create Jeff & Yui’s special day. 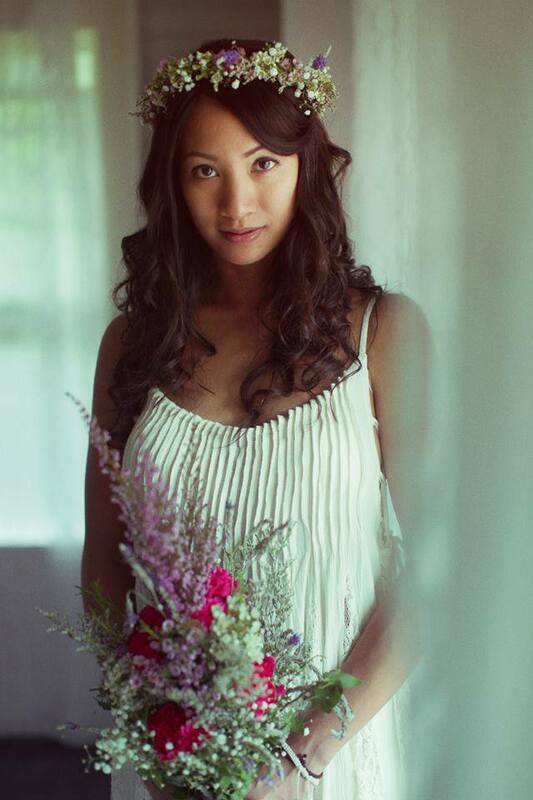 Especially – Frank Amodo, who did their Hawaii wedding photography, both the engagement shoot and wedding shoot. Frank mentioned that the engagement shoot was actually done at Pearl Harbor and can’t wait to see how they came out, I’m sure both shoots will be amazing! !~ Also, thank you to James at Crane Media who did Jeff & Yui’s videography. We can’t wait to see the video! These guys are always great to work with and just a little tip to our readers: – their work is superb! If you’re looking for a videographer you have to check them out! Thank You to Kahu Bruce for officiating! As usual, you always steal the show! Speaking in both Japanese and chanting in Hawaiian, everyone loved it! Jeff and Yui were so pleased and the ceremony was exactly what they had envisioned! Thank you again! Flowers were created by Todd of Always Flowers – who always does a magnificent job! Thanks Todd!! Also, a big Thanks to Mike Izon who we just adore! Mike played live acoustic guitar at the ceremony which sounded ridiculous in that chapel! There’s something about having live music that really creates such a special mood! Thanks Mike! Thank You to Dorys from Meleana Cosmetics for doing a wonderful job with the hair and makeup. Yui looked so beautiful and it was just a pleasure to get the chance to work with you! Looking forward to more weddings in the future! 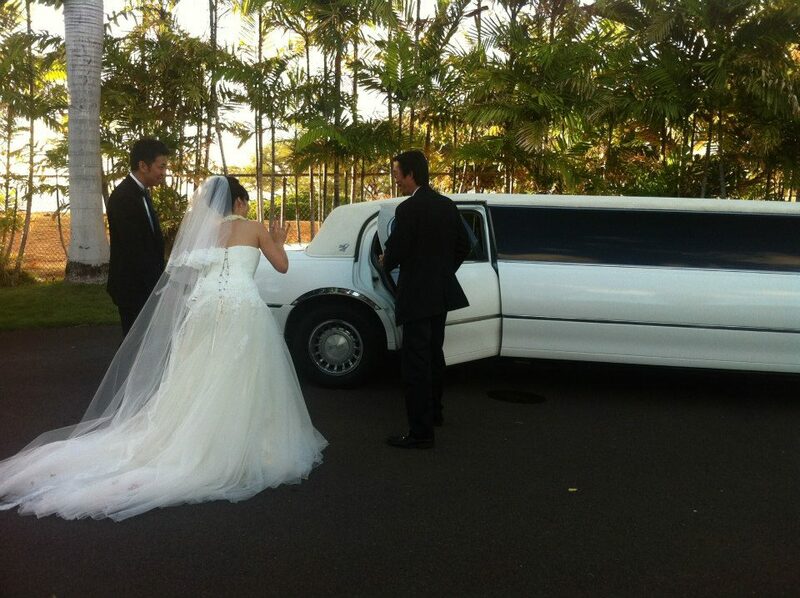 Limo services were coordinated with Jay’s limo’s and of course – a big Thank You to Kapiolani and the rest of the gang at Best Bridal who assisted with booking the chapel. Yui getting ready at the Royal Hawaiian. Dorys from Meleana working her magic! The lovely bride all done up and enjoying a little minute of relaxation before putting on her dress. The bridal bouquet! Hydrangeas, yellow roses, and cymbidums made the perfect pretty hand-tied bouquet for Yui! Flower arrangements created by Always Flowers. Thanks Todd! The bride taking a few photos of her groom getting his hair all done up. James from Crane Media capturing the “getting ready” moments soon to be put into a wonderful wedding day video! Tiffany’s rings for the bride and groom… and some very lovely wedding shoes! Only the best for Jeff & Yui! Horray! It’s official – introducing Mr & Mrs. Tsui! Congratulations Jeff & Yui!!! Mike Izon playing a few tunes for Jeff and Yui as they sign paperwork and take photos after the ceremony. The beautiful bride! Strike a pose! Yui’s entorage! :) Just the girls! She put a ring on it! Jeff’s so excited! And I love Yui’s face in the background! Thank you to everyone who helped make Jeff & Yui’s day so special! And a BIG Congratulations to the bride and groom – Jeff and Yui Tsui! 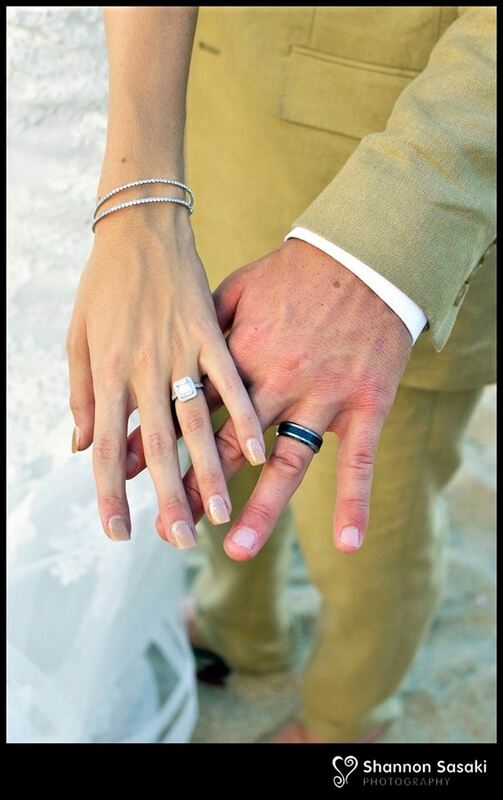 Enjoy the rest of your Hawaii Vacation we hope your wedding day was indeed your Best Day Ever! Thank you for trusting us with your big day – you guys are such a cute couple and it was an honor to share such a special day with the both of you! Outdoor beach weddings are gorgeous but sometimes the warm Hawaii weather can prove to be a challenge when it comes to maintaining flawless makeup and beautiful hair. 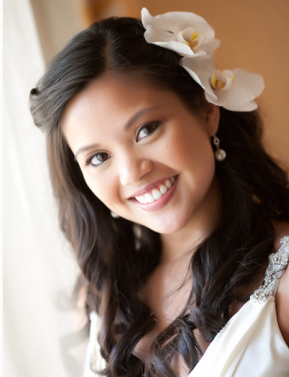 Since we specialize in outdoor beach weddings, we have gotten to work with some of the best make-up artists in town, and come across tons of Great Tips for all of our outdoor Hawaii brides. Here are a few of our FAVORITE Hair & Make-Up Tips that will help any Hawaii bride get through her big day without so much as an eyelash out of place! Tip #1: Opt for fake lashes rather than mascara-they add a touch of glam and eliminate the chance of smudging. Be sure to let your make-up artist know you are having an “outdoor beach wedding” so that she can apply the lashes well to ensure that they will not blow off in the Hawaii wind. Fake lashes are wonderful, they look amaze-balls in photos and stay on for hours and hours on end. You only get married once, glam it up! Tip #2: Dab instead of wipe! Lightly blotting your face will mean less smearing and fewer touch-ups. Tip #3: Waterproof make-up. Ask your make-up artist to use waterproof mascara and eyeliner. Even if you don’t think you’re going to cry… you never know what speeches and songs are going to move you and it’s best not to take chances. You probably won’t have a ton of time to fix your make-up if you do end up crying a tear or two, so come prepared. Make-up is usually applied hours before the ceremony and it needs to last all night. Let your make-up artist know this ahead of time so she can work her magic accordingly. Tip #4: Updo’s are best when it comes to outdoor weddings. Consider a simple updo for your beach wedding. While long loose curls are gorgeous, they often fall out after a few hours… meanwhile, updo’s stay in place for hours and look great even in the wind. Hawaii is one of those places where you never really know what kind of weather you are going to get. Even on the sunniest clearest days there are trade winds and the closer you are to the ocean, the winder it will probably be. Be sure to style your hair accordingly & always bring extra pins just in case. 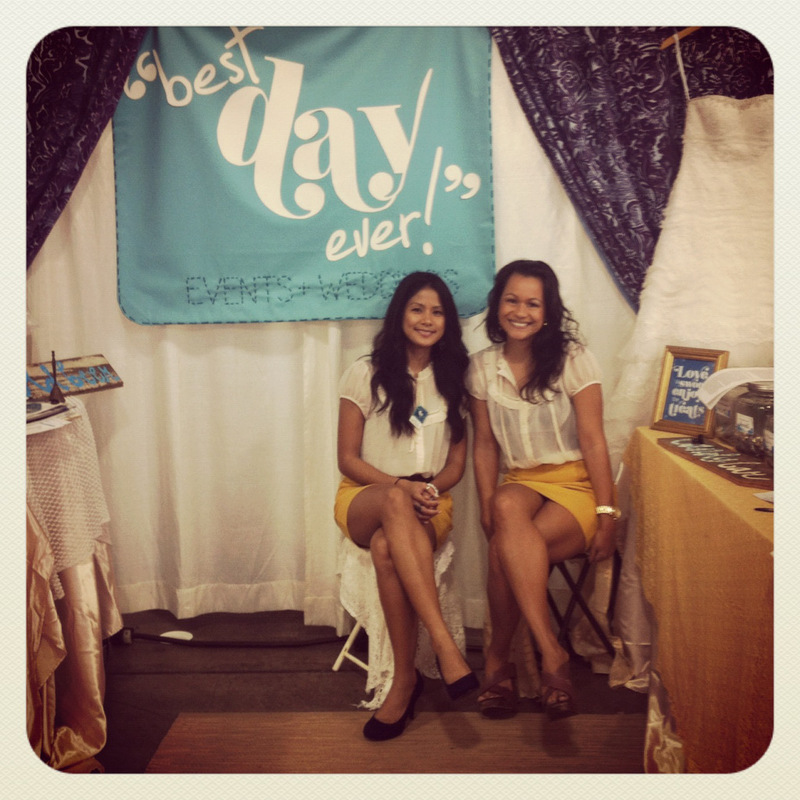 Tip #6: Have fun, relax & really enjoy your “Best Day Ever”. If you’re not having a good time, no make-up or hair secret will cover it up. True joy is the best make-up secret around and it will show in photos. This day only comes once… Enjoy it! YAY for Friday! Hope you’re having a great one! Wednesday Fun Fact: What’s the Significance of the Wedding Ring Anyway? Who would have thought!? I was pretty amazed so I thought I’d share this little fun fact with all of our favorite Hawaii Brides! And for all of you destination brides, here’s another fun Hawaii fact – wearing a flower in your left ear, means “taken” and right ear – you guessed it… means “single”. Locals often tuck a little plumeria behind their ear not only because it’s really pretty… but also to show whether they are or aren’t in a relationship. Keep this in mind when you’re here on vacation and are thinking about picking up a plumeria to tuck behind your ear. Yup, that’s me w/ my sis – left ear flower = “taken”:) Super cute fashion statement.. right? And now you know… it also means so much more! Thoughts? Comments> ?? Or perhaps you have your own little fun wedding fact to share, we’d love to hear! I love DIY’s that take ordinary household items and turn them into something entirely unexpected! 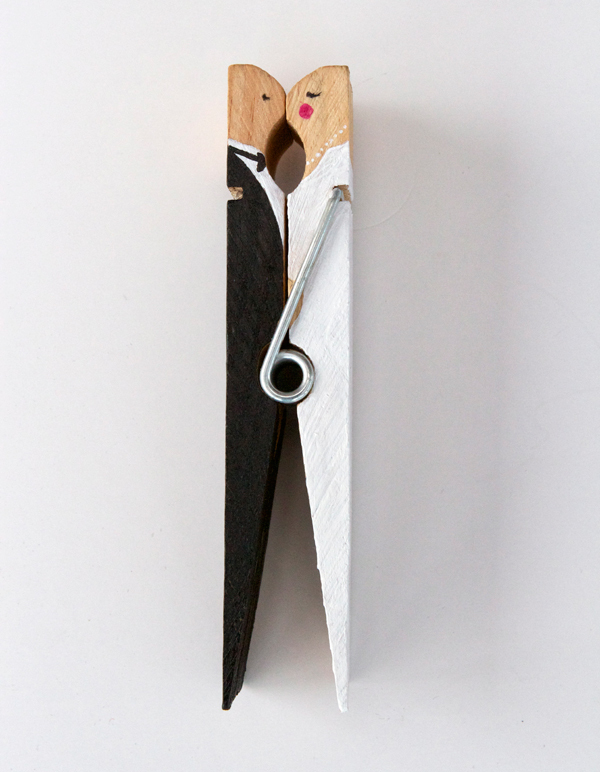 Brooklyn Bride was looking for a unique cake topper and made an easy peasy DIY project that transformed a simple clothes pin into an adorable kissing bride and groom. It’s creative, functional and versatile perfect for our crafty Hawaii brides!! Start off with a large clothespin. On half of the pin sketch with a pencil a tuxedo with a bow tie, on the other half sketch a wedding dress. Finish off by gluing a piece of lace for the bridal veil and you’re done! This formal version is adorable but you could easily change it to fit your wedding theme! For a Hawaii wedding you could paint the groom in an aloha shirt and maile lei and the bride with a white dress and plumeria flower in her hair. LOVE IT!! Hope you enjoyed our Monday DIY Project ~ What did you think? We’d love to hear your thoughts! 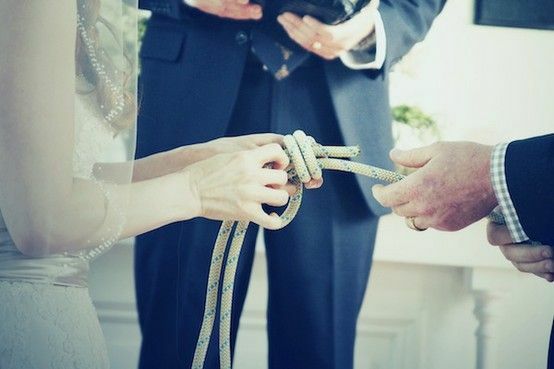 Here’s a unique way of “tying the knot!” During the wedding ceremony, the bride and groom will tie a fisherman’s knot together. The fisherman’s knot is the strongest type of knot there is. The rope will break before the knot comes undone and it only gets tighter with pressure! Great symbolism and a fun keepsake. LOVE!! Every once in a while I come across a few really unique ways to make your ceremony extra special and since at Best Day Ever we’re all about one-of-a-kind personalized weddings, we try to share all of these unique ideas with you. Incorporating a little something different into your wedding that reflects the bride and groom is often the best way to make a big impression & create a wedding both you and your guests will never forget. This past June my aunt and uncle planned for a simple wedding; just the two of them. But like the stubborn family we are we decided we’d all fly up to Las Vegas and join them. We had good intentions but like normal families we butted heads and had big arguments. It turned what once was an intimate affair into a full blown circus! We were quick to lose sight of the reason we were there, to celebrate a marriage between two people we love. I don’t know if that was what my aunt had planned but the moment her and my uncle walked down the aisle to “The Road that Never Ends” by the local Hawaii musician Keali’I Reichel, everyone remembered exactly why we were there. A wedding song should reflect everything that’s important to you. For my aunt it was family; having everyone there to share her special moment. This song is not only a beautiful wedding song, but also holds a special place in my heart so I thought I would share it with all of you! 🙂 What’s your favorite wedding song? We’d love to hear your thoughts~! I recently went to Eat the Streets, a local food festival in Hawaii that goes on once a month. Being that it was my first time I was almost overwhelmed with all of the food options! My friends and I couldn’t decide on one place for dinner but when it came to dessert we were all in agreement it had to be French Macaroons!! These small baked meringue cookies and soft centers have been a huge trend recently, especially in weddings. Imagine one, two or three of these little beauties in a simple clear box with a simple ribbon that matches the colors of your wedding. There are tons of flavors to choose from and a variety of colors to mix and match! What I love most is that they won’t melt so they can also be easily packaged ahead of time too! Choose a clear cellophane bag or a clear plastic box then top it off with a ribbon and a cute DIY paper orchid or a favor tag that has your initials on it. Super cute right? And don’t forget you can choose flavors that match the colors of your wedding too! White’s go with everything, but if you’ve got a blue theme’d wedding going on, why not ask your baker if she can do blue french macraroons? French macaroons make beautiful favors that are easy to eat, gorgeous to look at and oh so tasty!! Wondering where you can get these fab favors here in Hawaii? Here’s a Best Day Ever insider tip: Try CakeWorks Hawaii, in Honolulu (right across from the Hawaiian Humane Society), they have delicious one of a kind Hawaii-inspired flavors. 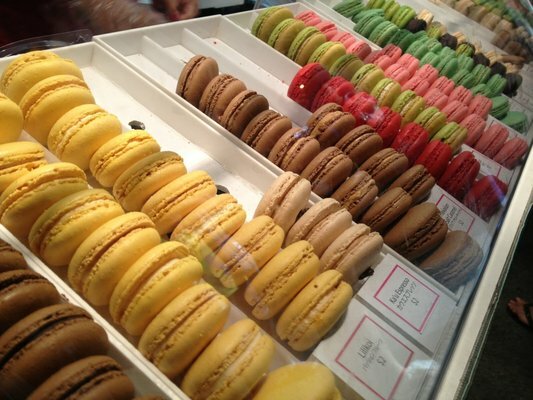 Other local shops that have French Macroons… Honolulu Coffee Company (Ala Moana), The Pacific Place Tea Garden (Ala Moana), or Patisserie Palme D’Or (Ala Moana). And for our favorite Hawaii DIY brides . . . Here’s our favorite DIY Recipe for French Macaroons. 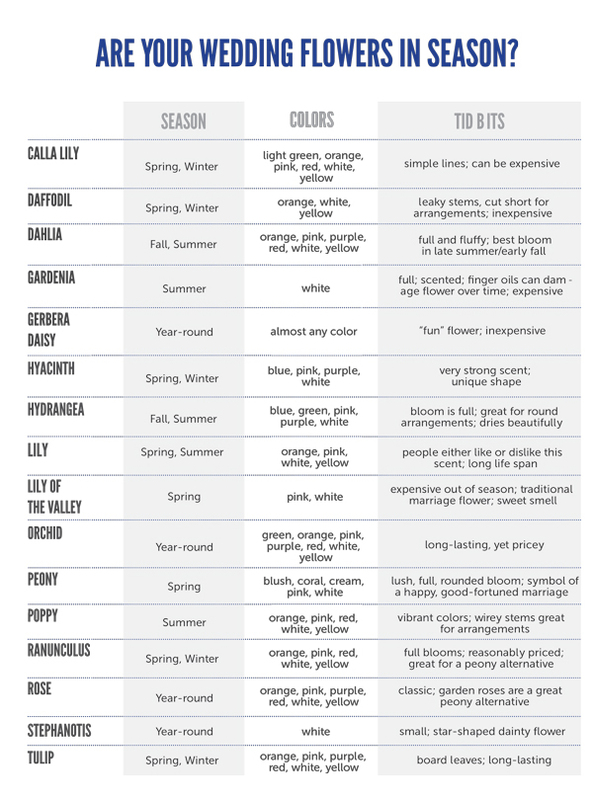 What Season is Right For Your Favorite Wedding Flowers? That being said when it comes to pricing and availability of flowers it’s all about knowing the seasons. This means choosing your flowers around your wedding date so that you will get the best flowers for your budget and choose the appropriate flowers for your wedding season. That’s right, proper planning can save you hundreds of dollars! Whether it be a lei or a bouquet, save yourself tons of stress and stay on budget by choosing flowers that are in season during your wedding month. There are tons of choices and if you don’t see your wedding flower choices on this list, don’t forget you can always just call your local florist. They know all the details when it comes to local flowers and can probably give you tons of great tips. Hope you enjoyed our post! Leave us a comment, we’d love to hear your thoughts!